Kellen Adams glanced at Corporal Harlow Hackett, lounging in the seat beside her, his seatbelt loose across his hips. Kuwaiti dust and sand rolled in sweaty drops down his sunburned face and off his chin. Harlow Hackett: Male, Caucasian, 22 years old, 6’ 3″. Blond hair, blue eyes. Avid runner. Joined Army at 18. From rural North Dakota. She didn’t know how Hackett did it; she was sweating, too, but in the desert heat, it evaporated right off her body with the dry wind coming in her open driver’s side window. I hope you enjoy HARD TO KILL, a Kellen Adams short story adventure, out today for Kindle, Nook, GooglePlay, Kobo, and iBooks. 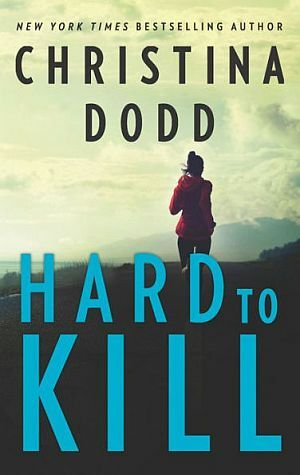 Want to read HARD TO KILL and don’t have an eReader? Easy-peasy. Download a free app like Kobo, iBooks for iOS, Kindle for Mac or Kindle for PC, and read on your phone, tablet or computer. DEAD GIRL RUNNING Out now! Enough information to make your eyes bug out! Suspense! Adventure! Potty stops! WHAT DOESN’T KILL HER is out today! FAMILIES AND OTHER ENEMIES…are the holidays over yet? WHAT DOESN’T KILL HER–the cover! Rae’s Dog has a Name! DEAD GIRL RUNNING into your eager hands! You scream, I scream, we all scream for THE WOMAN WHO COULDN’T SCREAM! Treehouse! Autographing! A New Improved Cover! At last! BECAUSE I’M WATCHING Audio! Do I Choose My Cover Models? Annual Crawfish Feed and Tour My Office! Today and Forever LOVE NEVER DIES! Crazy 2016 New Years Celebration! All Governess Brides books are available in eBook!